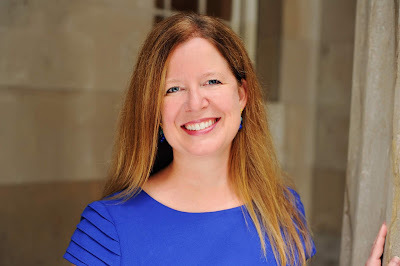 Lisa Kitchens (A.C.T. M.F.A. Program class of 2014) in front of Stanislavsky's house in Moscow. The A.C.T. 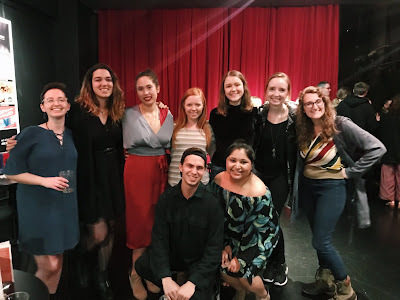 Master of Fine Arts Program class of 2014 recently returned from Moscow, where they were honored as the only U.S. acting school invited to attend the prestigious Stanislavsky Festival. They performed Federico García Lorca's The House of Bernarda Alba, were featured on the evening news, and interacted with students from England, Hungary, Germany, Italy, Poland, France, and Russia. We asked the students to share their photos and reflections from this unforgettable trip. To read more about their experiences, search for hashtag #ACTinMoscow on Facebook and Twitter. Our second morning in Moscow, we took a tour of Stanislavsky's home. We were elated to find out that the person giving our tour, Nikita, is actually Stanislavsky's great-great grandson. . .
Stanislavsky's study, with the chair he used in his production of Othello. When we arrived at his home, we were all blown away by the history inside the house. We got to see the small stage where, as a young boy, Stanislavsky performed with his family's theater company. We got to see his study where he wrote his books, including My Life in Art, and where artifacts from productions were kept, including the rug that was used in the first-ever production of Chekhov's The Three Sisters and the chair that was used in the production of Othello in which Stanislavsky played the title role. We saw the bedroom of Stanislavsky's wife, who was also Chekhov's favorite actress, where pictures of her as Natasha in The Three Sisters and Sonya in Uncle Vanya and her costume from Anna Karenina lined the walls. Playbills and photos from the original season of the Moscow Art Theatre hung on the walls alongside family photos from when Stanislavsky was a child. The whole house was rich with theater history and inspiration for the acting student. The costume Stanislavsky wore while playing Benedick in Shakespeare's Much Ado About Nothing. We left the house that morning feeling very honored and humbled to be at this festival celebrating such an influential theater artist; I know I speak for us all when I say we will not forget this experience.